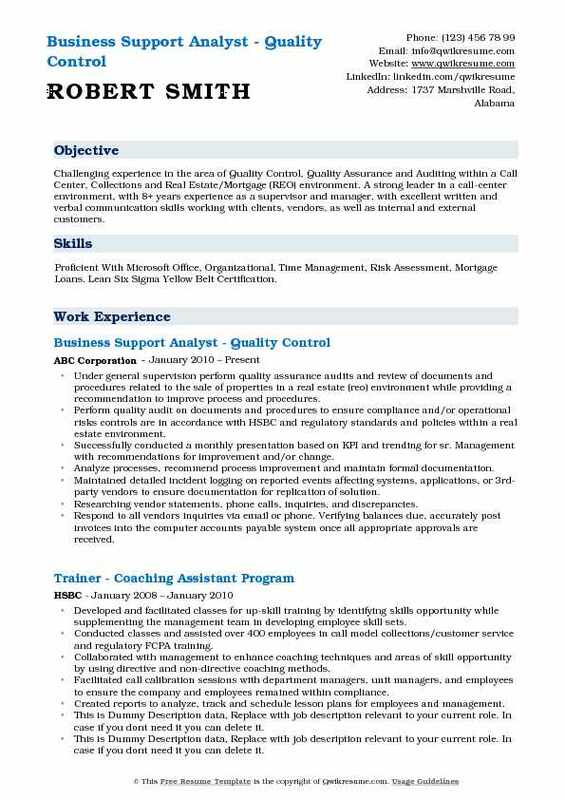 A business Support Analyst or Business Analyst’s job is to analyze the organization, business domain, documents or systems or processes, assessing business models and integrate it using the latest technologies. A business Support Analyst acts as a link between business problems and technology solutions. The Business Support Analyst is hence required to scrutinize, renovate and resolve the problems of the organization by using the best technologies. The other job responsibilities for this post includes – collaborating with contractors, providing assistance, training, performing system training, analyzing hardware, software, business processes and provide backup support for the business. 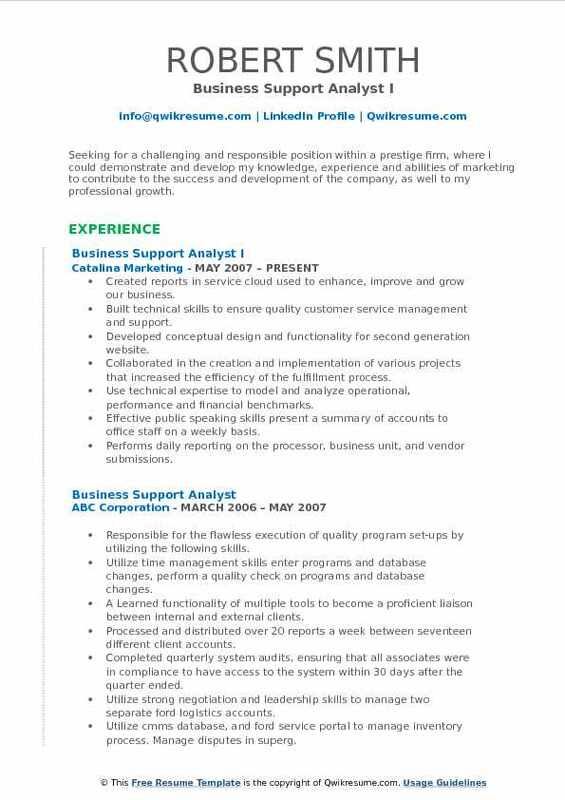 Even though there isn’t any formal qualification needed for this job post, the Business Support Analyst Resume Sample that has a Bachelors degree in Computer science or IT is sure to catch the eye of a hiring manager. 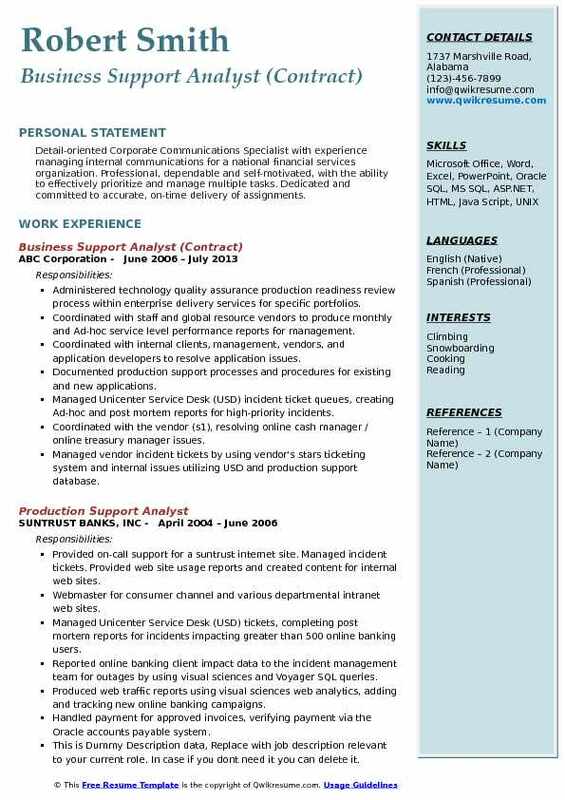 For advancing in this field experience in LAN/ WAN area networking with a sound knowledge of an Operating system, Microsoft Office Suite and Application support would be a good choice. 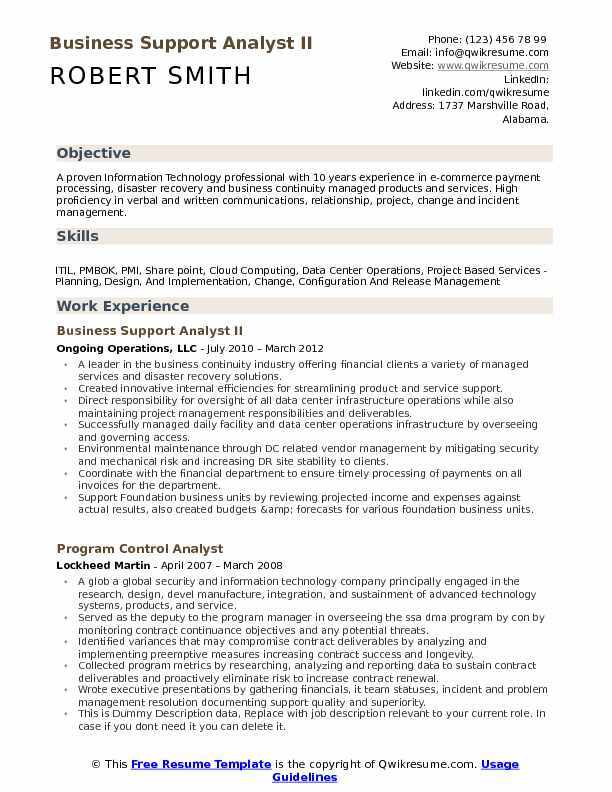 Summary : A proven Information Technology professional with 10 years experience in e-commerce payment processing, disaster recovery and business continuity managed products and services. High proficiency in verbal and written communications, relationship, project, change and incident management. A leader in the business continuity industry offering financial clients a variety of managed services and disaster recovery solutions. Created innovative internal efficiencies for streamlining product and service support. Direct responsibility for oversight of all data center infrastructure operations while also maintaining project management responsibilities and deliverables. Successfully managed daily facility and data center operations infrastructure by overseeing and governing access. Environmental maintenance through DC related vendor management by mitigating security and mechanical risk and increasing DR site stability to clients. Coordinate with the financial department to ensure timely processing of payments on all invoices for the department. Support Foundation business units by reviewing projected income and expenses against actual results, also created budgets & forecasts for various foundation business units. Headline : Professional with project lead and continuous improvement experience. 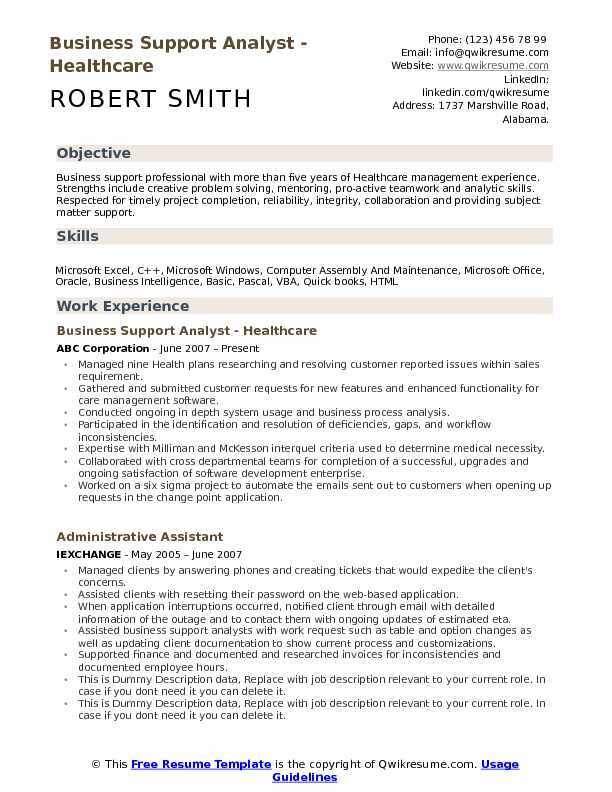 Has had experience in multiple areas including Legal, Marketing, Retail, IT, and Finance. All areas have provided the ability to obtain multiple skills and qualifications. Seeking a career which provides an opportunity to utilize current skills and previous experiences, while continuing to learn and grow in a challenging, team environment. The focus of business process management is on the effectiveness of end-to-end processes in order to achieve the desired outcomes. Organize teams to review current processes for effectiveness, quality, and simplification. Lead various projects and accomplish objectives by planning and evaluating project activities while meeting target dates. Review reporting, metric, and data to identify and implement effective solutions. Ensure that vendors meet or exceed their contractual obligations by delivering quality products and services on time. Analyze, monitor and present relevant data to colleagues and management. Develop performance and operational measures to identify business and financial trends, which inform and guide management decisions, operational plans and strategic plans, including semi-annual formal assessment of risk. Headline : Obtain a full time position within a company or business focusing on financial, IT and or business aspects of the organization. Possess strong skills in leadership and management as well as organization. Strong skills with finances and investment. Strong customer service skills. Good communication and interpersonal skills. Ability to learn, understand and apply existing and new technologies. Record incidents in CRM tool per established Service Level Agreements (SLAs). Ensure timely escalation of incidents as needed, identifies impact to the customer and assigns the appropriate priority. Provide excellent customer service and follow-up for all customers that call into the support desk. Maintain, review and comply with all distributed documentation that pertains to products supported or operating procedures. Assist other analysts as necessary with support issues and escalations. Perform the following types of basic tasks analysis, auditing, budgeting, forecasting, programming, research, report generation, and software integration. Respond to, resolves and makes decisions on standard/routine business requests with limited risk. Responsible for own work and contributing to team, department and/or business results. Direct work of non-management staff. Summary : Seeking for a challenging and responsible position within a prestige firm, where I could demonstrate and develop my knowledge, experience and abilities of marketing to contribute to the success and development of the company, as well to my professional growth. 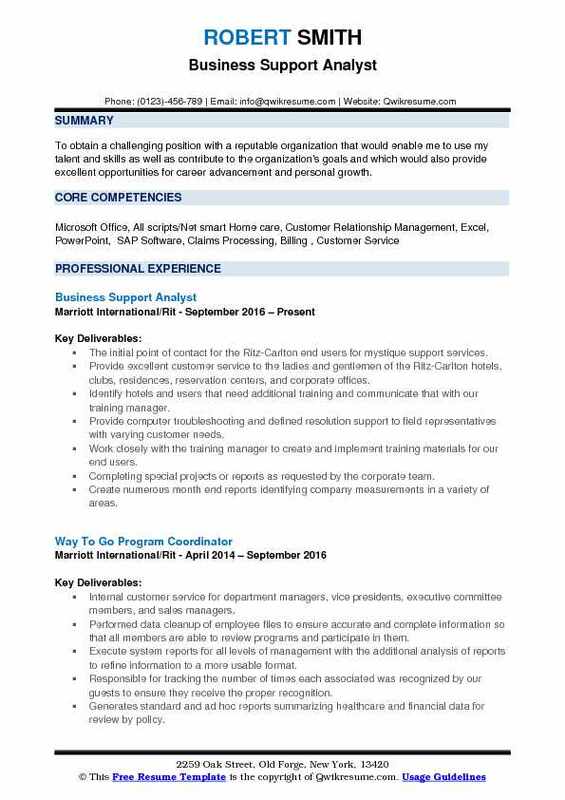 Skills : MS Office, Sales, Market Analysis, Market Research, Power point, Excel, Oracle. Created reports in service cloud used to enhance, improve and grow our business. Built technical skills to ensure quality customer service management and support. Developed conceptual design and functionality for second generation website. Collaborated in the creation and implementation of various projects that increased the efficiency of the fulfillment process. Use technical expertise to model and analyze operational, performance and financial benchmarks. Effective public speaking skills present a summary of accounts to office staff on a weekly basis. Performs daily reporting on the processor, business unit, and vendor submissions. Headline : Detail-oriented Corporate Communications Specialist with experience managing internal communications for a national financial services organization. Professional, dependable and self-motivated, with the ability to effectively prioritize and manage multiple tasks. Dedicated and committed to accurate, on-time delivery of assignments. Administered technology quality assurance production readiness review process within enterprise delivery services for specific portfolios. Coordinated with staff and global resource vendors to produce monthly and Ad-hoc service level performance reports for management. Coordinated with internal clients, management, vendors, and application developers to resolve application issues. Documented production support processes and procedures for existing and new applications. Managed Unicenter Service Desk (USD) incident ticket queues, creating Ad-hoc and post mortem reports for high-priority incidents. Coordinated with the vendor (s1), resolving online cash manager / online treasury manager issues. Managed vendor incident tickets by using vendor's stars ticketing system and internal issues utilizing USD and production support database. Headline : Challenging experience in the area of Quality Control, Quality Assurance and Auditing within a Call Center, Collections and Real Estate/Mortgage (REO) environment. A strong leader in a call-center environment, with 8+ years experience as a supervisor and manager, with excellent written and verbal communication skills working with clients, vendors, as well as internal and external customers. 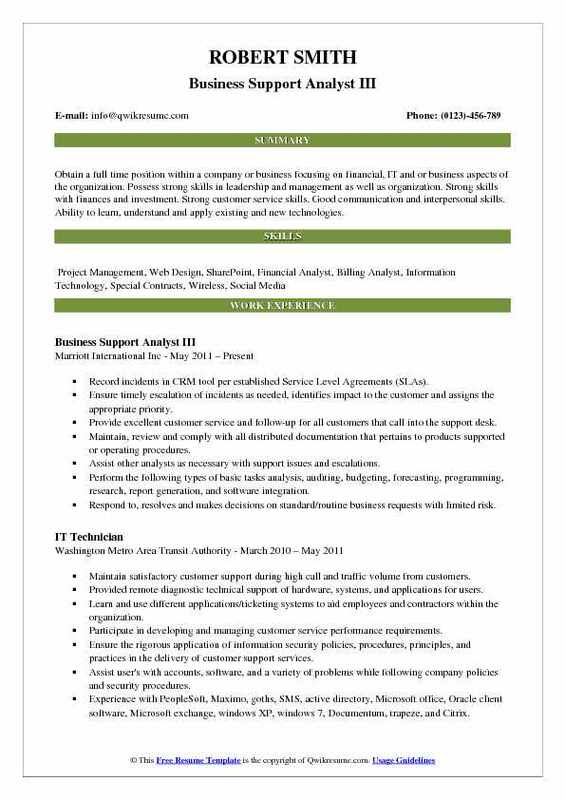 Skills : Proficient With Microsoft Office, Organizational, Time Management, Risk Assessment, Mortgage Loans. Lean Six Sigma Yellow Belt Certification. Under general supervision perform quality assurance audits and review of documents and procedures related to the sale of properties in a real estate (reo) environment while providing a recommendation to improve process and procedures. Perform quality audit on documents and procedures to ensure compliance and/or operational risks controls are in accordance with HSBC and regulatory standards and policies within a real estate environment. Successfully conducted a monthly presentation based on KPI and trending for sr. Management with recommendations for improvement and/or change. Analyze processes, recommend process improvement and maintain formal documentation. Maintained detailed incident logging on reported events affecting systems, applications, or 3rd-party vendors to ensure documentation for replication of solution. Researching vendor statements, phone calls, inquiries, and discrepancies. Respond to all vendors inquiries via email or phone. Verifying balances due, accurately post invoices into the computer accounts payable system once all appropriate approvals are received. Headline : To obtain a rewarding and challenging position with an organization that offers growth potential, knowledge, and responsibility where my skills, education, and abilities will further company goals and allow me to flourish not as an employee but as a person. Collects compiles and analyzes programmatic and operational data investigates and documents underlying trends, irregularities and possible causes for changes in data. Authorizes the creation of audit reports and reports findings to the director of care & custody & the director of audits & compliance. Creates and maintains databases of requests or statistical data for future reference. Trains staff to follow procedures and protocols according to the rules and regulations. Prepares audit reports, and makes recommendations or determinations based on the analysis. Monitors and ensures compliance with program policies, rules, and regulations. Makes appropriate recommendations to correct areas of weakness. Evaluates performance and program practices of staff for quality assurance. Objective : Highly motivated and energetic professional with excellent administrative, organizational, problem-solving and interpersonal communication skills demonstrates ability to work in diverse environments and the ability to complete multiple and concurrent tasks required. 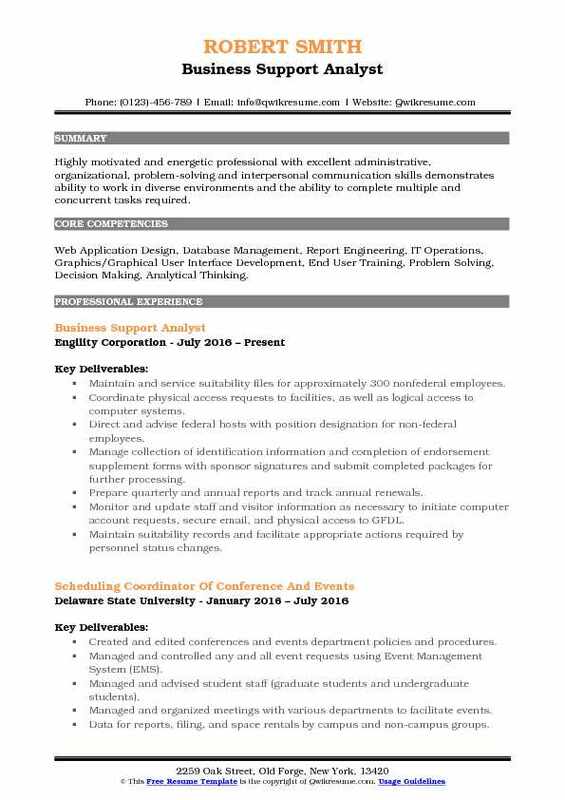 Skills : Web Application Design, Database Management, Report Engineering, IT Operations, Graphics/Graphical User Interface Development, End User Training, Problem Solving, Decision Making, Analytical Thinking. Maintain and service suitability files for approximately 300 nonfederal employees. Coordinate physical access requests to facilities, as well as logical access to computer systems. Direct and advise federal hosts with position designation for non-federal employees. Manage collection of identification information and completion of endorsement supplement forms with sponsor signatures and submit completed packages for further processing. Prepare quarterly and annual reports and track annual renewals. Monitor and update staff and visitor information as necessary to initiate computer account requests, secure email, and physical access to GFDL. Maintain suitability records and facilitate appropriate actions required by personnel status changes. 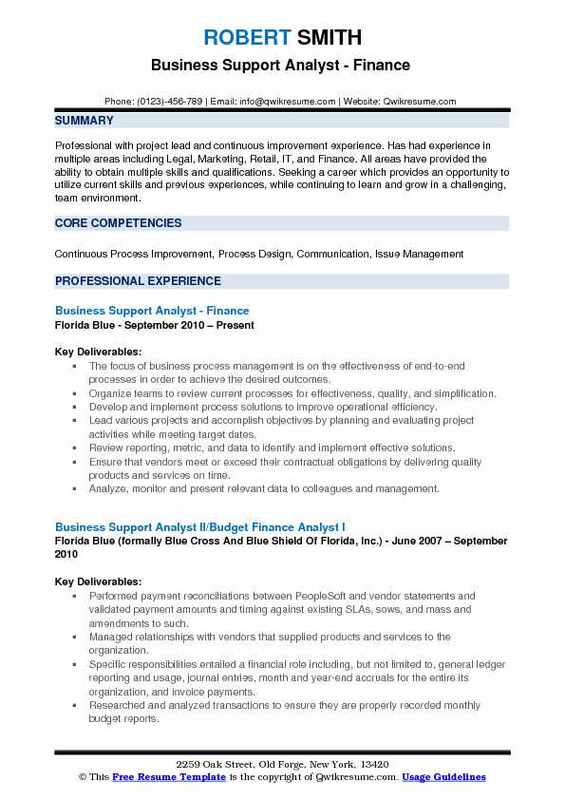 Headline : A Business Support Analyst offering 17 years in the Banking Production Industry, with expertise in managing business and systems requirements, user acceptance testing, process improvement and end-user training. Experienced in hiring, employee relations, training and development, as well as providing financial reporting and assistance. 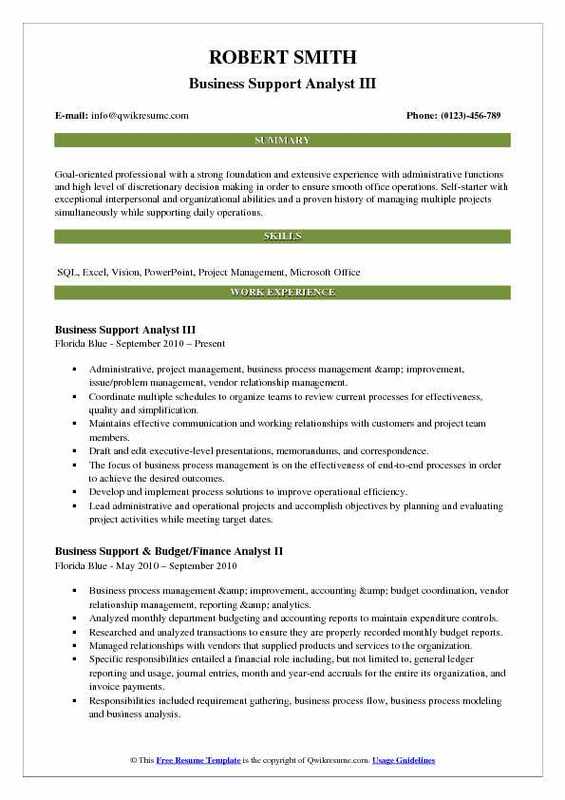 Skills : Proficient In Microsoft Office, Access, Excel, Outlook, Word And PowerPoint, Oracle, Visio, Cognos Business Intellegence, And Structured Query Language. Administered user acceptance testing with a focus on documenting defects and executing test cases. Managed testing cycles to include test plan creation, development of scripts and coordination, for both internal and external customers. Maintained and distributed reports and audits, either monthly or quarterly. Ensured that procedures and systems meet changing business needs. Mapped process activities to desired outcomes, reviewing and documenting results to rectify 100% operational efficiencies. Followed-up and assisted the operations team after production loads, thus preventing production downtime. Supplied, reviewed, tested and provided feedback for outsourcing project requirements, ensuring all migrations were completed by the given deadline. Reviewed and prepared monthly volume and financial reports and forwarded to senior management by the fifth of every month, with no occurrences of being late. 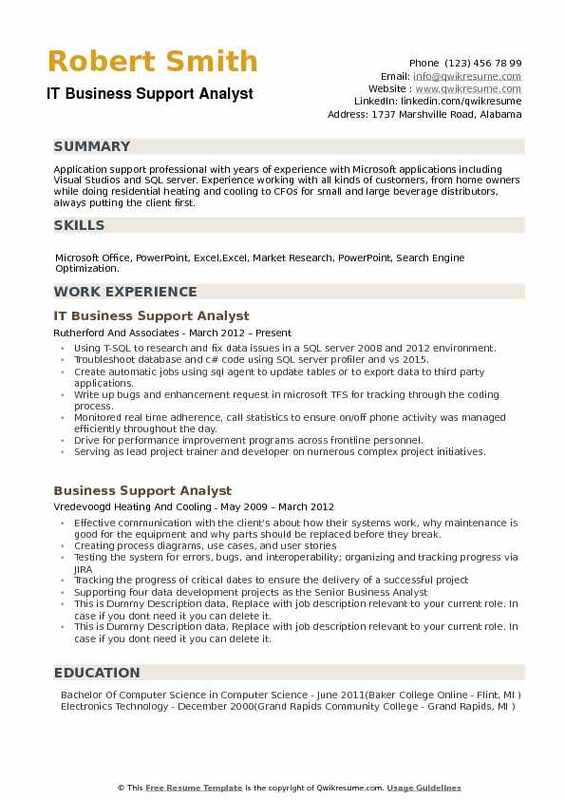 Objective : Application support professional with years of experience with Microsoft applications including Visual Studios and SQL server. Experience working with all kinds of customers, from home owners while doing residential heating and cooling to CFOs for small and large beverage distributors, always putting the client first. 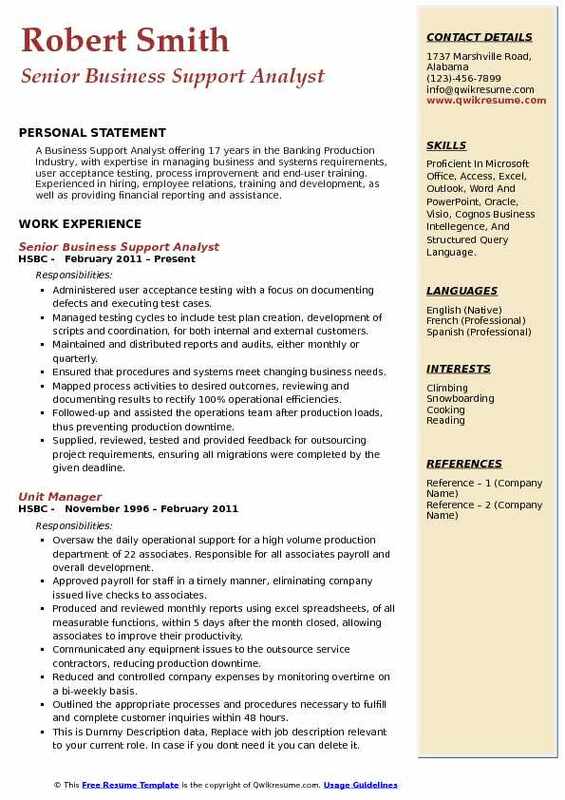 Skills : Microsoft Office, PowerPoint, Excel,Excel, Market Research, PowerPoint, Search Engine Optimization. Using T-SQL to research and fix data issues in a SQL server 2008 and 2012 environment. Troubleshoot database and c# code using SQL server profiler and vs 2015. Create automatic jobs using sql agent to update tables or to export data to third party applications. Write up bugs and enhancement request in microsoft TFS for tracking through the coding process. Monitored real time adherence, call statistics to ensure on/off phone activity was managed efficiently throughout the day. Drive for performance improvement programs across frontline personnel. Serving as lead project trainer and developer on numerous complex project initiatives. 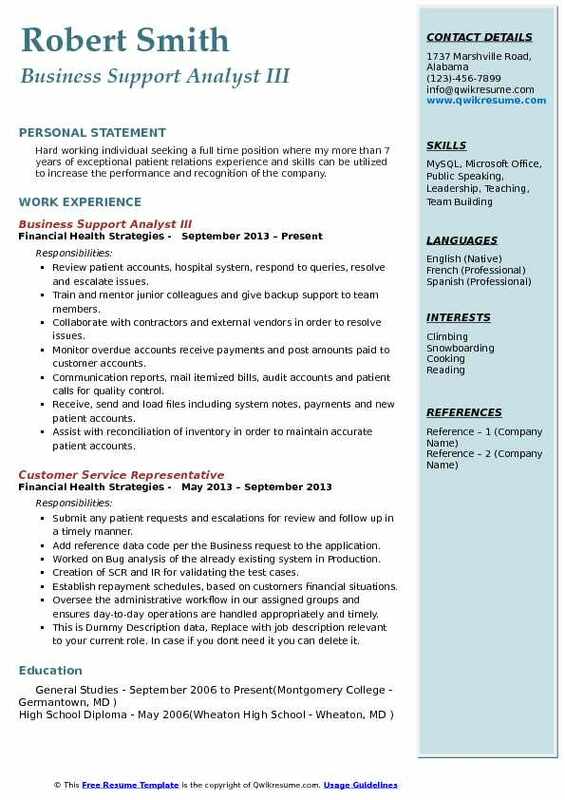 Summary : Business support professional with more than five years of Healthcare management experience. Strengths include creative problem solving, mentoring, pro-active teamwork and analytic skills. Respected for timely project completion, reliability, integrity, collaboration and providing subject matter support. Managed nine Health plans researching and resolving customer reported issues within sales requirement. Gathered and submitted customer requests for new features and enhanced functionality for care management software. Conducted ongoing in depth system usage and business process analysis. Participated in the identification and resolution of deficiencies, gaps, and workflow inconsistencies. Expertise with Milliman and McKesson interquel criteria used to determine medical necessity. Collaborated with cross departmental teams for completion of a successful, upgrades and ongoing satisfaction of software development enterprise. Worked on a six sigma project to automate the emails sent out to customers when opening up requests in the change point application. Member of the support efficiency initiative to cut costs for customers and developed a streamlined process for incident management outages. 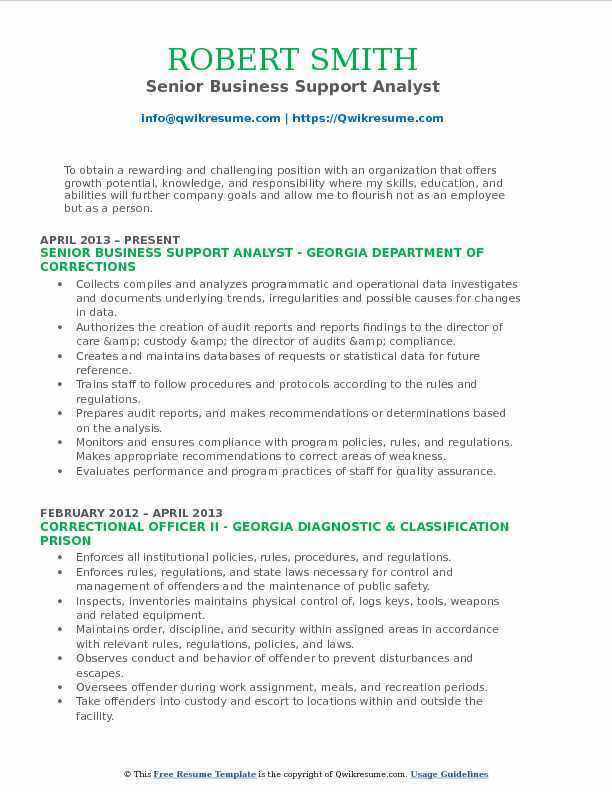 Objective : To obtain a challenging position with a reputable organization that would enable me to use my talent and skills as well as contribute to the organization's goals and which would also provide excellent opportunities for career advancement and personal growth. The initial point of contact for the Ritz-Carlton end users for mystique support services. Provide excellent customer service to the ladies and gentlemen of the Ritz-Carlton hotels, clubs, residences, reservation centers, and corporate offices. Identify hotels and users that need additional training and communicate that with our training manager. Provide computer troubleshooting and defined resolution support to field representatives with varying customer needs. Work closely with the training manager to create and implement training materials for our end users. Completing special projects or reports as requested by the corporate team. Create numerous month end reports identifying company measurements in a variety of areas. Creation and tracking of purchase requisitions, expense statements, budgets, and forecasts to ensure adherence to established guidelines. Headline : Goal-oriented professional with a strong foundation and extensive experience with administrative functions and high level of discretionary decision making in order to ensure smooth office operations. Self-starter with exceptional interpersonal and organizational abilities and a proven history of managing multiple projects simultaneously while supporting daily operations. Administrative, project management, business process management & improvement, issue/problem management, vendor relationship management. Coordinate multiple schedules to organize teams to review current processes for effectiveness, quality and simplification. Maintains effective communication and working relationships with customers and project team members. Draft and edit executive-level presentations, memorandums, and correspondence. Lead administrative and operational projects and accomplish objectives by planning and evaluating project activities while meeting target dates. Contribute through leadership in areas of expertise, acting as a change agent for key initiatives. 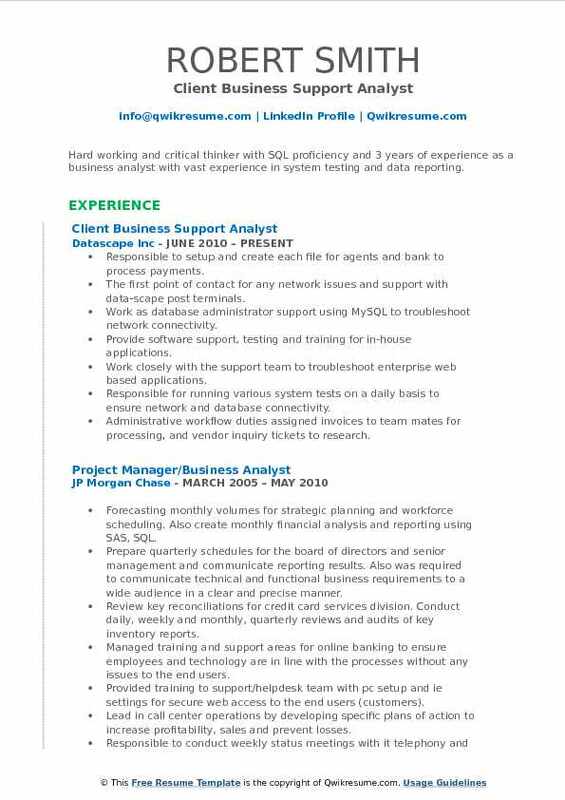 Headline : Hard working and critical thinker with SQL proficiency and 3 years of experience as a business analyst with vast experience in system testing and data reporting. Responsible to setup and create each file for agents and bank to process payments. The first point of contact for any network issues and support with data-scape post terminals. Work as database administrator support using MySQL to troubleshoot network connectivity. Provide software support, testing and training for in-house applications. Work closely with the support team to troubleshoot enterprise web based applications. Responsible for running various system tests on a daily basis to ensure network and database connectivity. Administrative workflow duties assigned invoices to team mates for processing, and vendor inquiry tickets to research. Headline : Hard working individual seeking a full time position where my more than 7 years of exceptional patient relations experience and skills can be utilized to increase the performance and recognition of the company. Review patient accounts, hospital system, respond to queries, resolve and escalate issues. Train and mentor junior colleagues and give backup support to team members. Collaborate with contractors and external vendors in order to resolve issues. Monitor overdue accounts receive payments and post amounts paid to customer accounts. Communication reports, mail itemized bills, audit accounts and patient calls for quality control. Receive, send and load files including system notes, payments and new patient accounts. Assist with reconciliation of inventory in order to maintain accurate patient accounts. Send financial assistance applications and review accounts for adjustments.